Advertisements in general persuade us to buy a product or services of which it revolves around. Even though it says that its claims are 100% true and honest, for their publicity and sales; they ensure to leave behind some loopholes just in case anyone comes with any legal proceedings. For example, for Chinese restaurants and the hotels which serve Chinese food, it’s compulsory that they should notify the customers and put a warning note in the reception where everyone can see that they are adding Monosodium glutamate (MSG / ajinomoto) in their food, and that the consumption of these foods is not recommended for pregnant women and children below 5 years old. Here’s the loophole though – it’s not that they don’t publish the warning note, it’s just that it’s only visible if you look around carefully. Don’t worry; it’s there somewhere, in the nooks or corners of the room where no one could plainly see. Similarly, with advertisements, the disclaimer at the end usually ends up being inaudible or illegible. Remember the advertisement of life insurance policies and their obscure disclaimer ‘Mutual fund investments are subjected to market risks. Please read all the scheme-related documents carefully before investing.’ It all contributes to part of a wider marketing strategy which keeps changing with the passage of time. Such trends depend on the psychological aspects of the target audience. Every now and then, the trend alters with psychological effects the advertisement creates in the mind of the audience. With the Indian scenario after the LPG policies and the rise of modernization, the dawn of trends in commercial advertisements emerged. Initially, it was the paintings that caught the attention of many, for instance; the painting of ‘Bubbles’ by Millais for Pears soap. The growth of international brands gave a platform where global campaigns could be adapted or integrated into the Indian scenario. Nike bought into the cricket frenzy after taking into consideration India’s national passion for cricket as similar to America’s love for baseball and Brazil’s for football as part of global campaigning. Trends happen all the time and the acceptance of people towards the concept is what brings in a new trend. The current trend is the ‘Social Cause Advertisements’, creating an emotional impact upon the audience with each advertisement. ‘Donation at purchase’ was one of the most successful ways of promoting products through a viable social cause. We would recognize this when we recall advertisements such as the ‘ITC Limited Classmate Notebook’, where Re. 1 is donated with every purchase for the cause of rural development and children’s education. Lifebuoy’s ‘Help a child reach 5’, took on the cause of reducing the death rate of children below 5 years due to unhygienic conditions in many rural parts of India. They promoted the importance of regularly washing hands and maintaining a hygienic lifestyle among children in rural India. Girls being on the trend-line gave a platform for the social cause of women empowerment, in an attempt to change Indian attitudes and alter them to fall in line with saving and educating the female youth. ‘Educate the girl child’ by Nestle in partnership with Nanhi Kali, chose to address the gender gap in education by sensitizing the nation to the very existence of this gap, and by attempting to change Indian mindsets that have a firm hold within gender role stereotypes of both boys and girls. 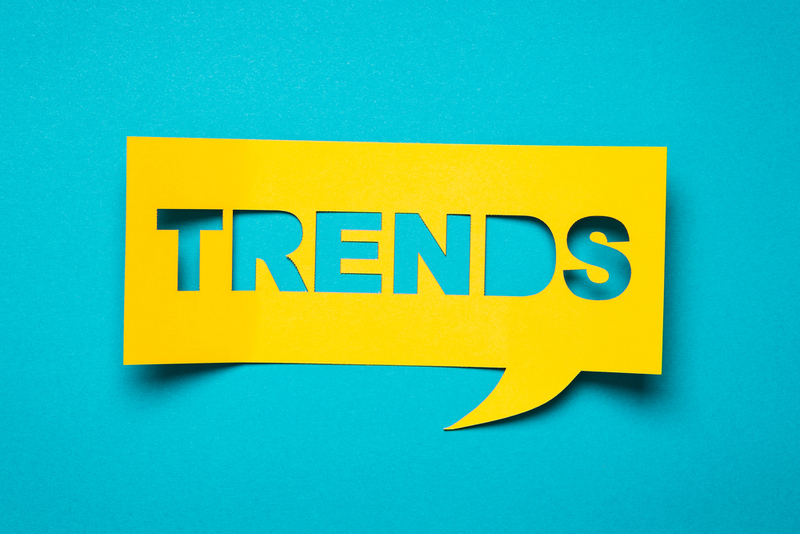 We can continually observe trends and recognize, that though each trend may come and go, the real motive to popularize the brand or the product based on ideas which will persuade you the most, will forever be a constant.